I only met Uncle Jack a few times, towards the end of his life, in his family home in Dagenham, but he’d featured in our oral history – how in 1914, to the dismay of his Kier Hardy admiring mother*, he’d joined up along with his brother. He only just survived the war, having been left for dead, at Loos I think, and when I met him, the form of his head wound was plain under his thinning hair. Jack’s family socialism also survived, but it would seem with different emphases from his mother’s. I’m thinking of him today because of the time he came into the room where I was sitting, singing the Marseillaise, in French. 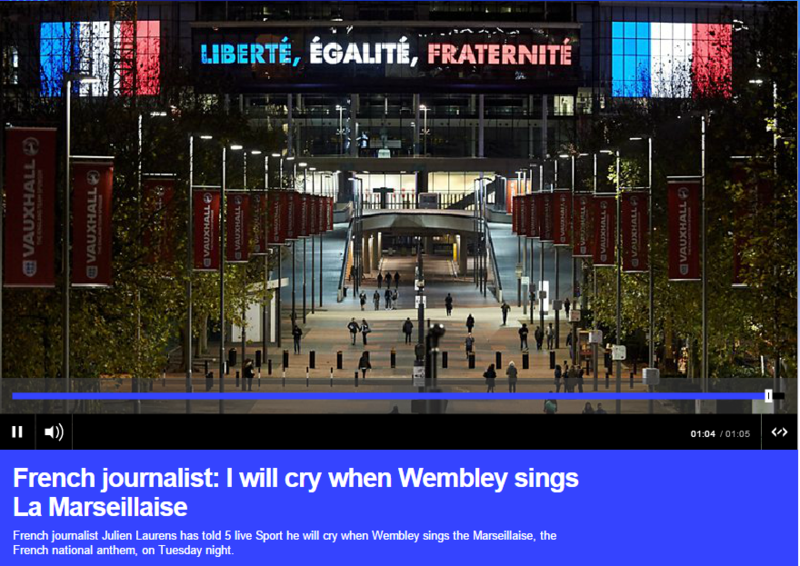 I’m not quite sure how I reacted, but I was a bit surprised, and he said something along the lines of thinking everyone would know the words, as if singing of the Marseillaise was perfectly normal. And would his mother have been more in sympathy with Stop the War? I think I’ll email my cousin, one of Uncle Jack’s numerous grandchildren, so see what she would imagine. * I’d not realised that Kier Hardy was an MP for West Ham, or had risen to prominence thanks to leading a coal miners’ strike in Ayrshire. Uncle Jack’s mother, my Granny Foster, was from New Cumnock, Ayrshire, so I can see why there was that bond. I think that Grandad would have joined in singing the Marseillaise. He was always singing, whistling or humming. Whilst he never spoke much about the war except to say he was taken to a morgue tent as he was not expected to live and eventually after a few days as he was still alive, he was moved. He thanked his survival to a skilled surgeon and an old cocoa tin and would tap his head. I have a few letters he sent on his way to the front, written almost as though he was just travelling, not on his way to war. Previous Previous post: Tax Media Centre?